Yesterday I picked up a couple Gun Dog videos, Retriever and Pointing Dogs. Although I have been around hunting dogs and training of hunting dogs my entire life, I was wondering if there was anything new that I might pick up to use. The videos were actually quite impressive in the manner that they step you through the puppy training process all the way to the point where you have a dog that will actually hunt. The first couple sections built upon pressure as a way to exert control. It started with them simply holding the puppy and applying pressure until they quit squirming. They then used that with several other advanced obedience commands later on, especially with regard to leash work. One thing that I am not used to was treat training. I know that it makes the training process easier, but I am not as fond of that method as praise training. I know some people may not agree with me, but I have found that dogs seem more bonded to their people through praise training than treat training. 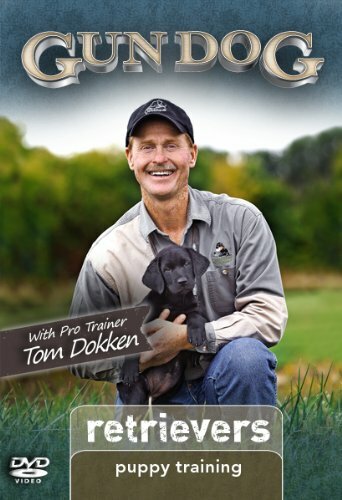 When professional trainers are getting dogs ready for clients, I can see how treat training is the way to go so that the dog will bond with their new people after they are built into hunting dogs. I do love the way that they transitioned the puppy from feathers, to birds and integrated the gunshots into the whole mix. That was worth the price of the video just in seeing how they did it without stressing the dog. 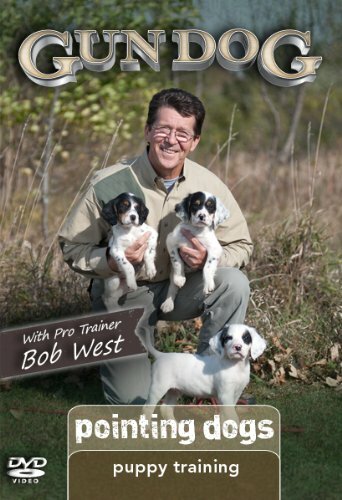 I look forward to watching the pointing dogs video to see how they train upland bird hunting. After watching my dog naturally pointing bugs in the yard, I am excited to see how well he picks this up. There is little doubt that we will get it with a little work because he is such a smart little guy. My recommendation after watching these videos is that anyone training a hunting dog take some time to examine other people’s training techniques. This entry was posted in Classes/Education and tagged dog training, duck hunting dog, hunting dog, hunting dogs, lab training, pointers, retrievers, upland bird, waterfowl on August 14, 2015 by Woodsbum.